It's pretty easy to make jokes about the heat in Arizona in the summer. If we didn't laugh, we'd be crying! But just you wait. In the winter, our favorite activity is to call our friends and relatives in the north and northeast and ask them casually, "So, how's the weather?" Ha, ha. I have seen these jokes in several places, and even received them via email a few times. What? You've never seen them before? Well, here they are. And yes, some of them are awfully close to the truth. the potatoes cook underground, and all you have to do to have lunch is to pull one out and add butter, salt and pepper. farmers are feeding their chickens crushed ice to keep them from laying hard-boiled eggs. you eat hot chiles to cool your mouth off. you discover that in July, it takes only two fingers to drive your car. a sad Arizonan once prayed, "I wish it would rain - not so much for me, cuz I've seen it -- but for my 7-year-old." 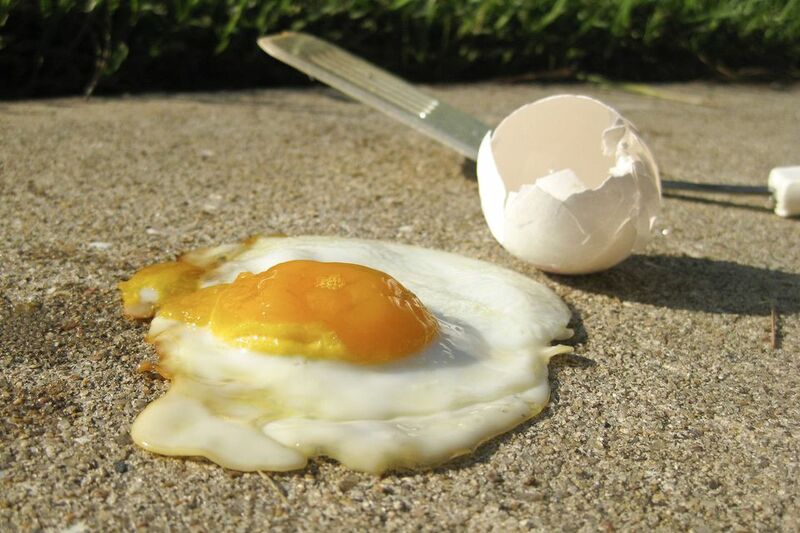 Is it hot enough in Phoenix to fry an egg on the sidewalk? Beware! Don't Get Stuck Here! It's a Dry Heat, But What Does That Mean?